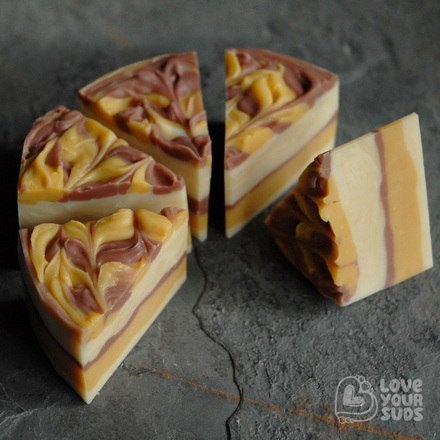 With all the benefits of goats milk and honey this soap slice is gentle, soothing, hydrating and safe to use on sensitive skin types. Loaded with essential nutrients and vitamins that nourish, goats milk also provides alpha-hydroxy acids that promote a smoother more youthful radiance. Lightly fragranced with beeswax and bergamot essential oil, with a hint of lavender. Saponified oils/butters of olive*, coconut*, palm, shea and beeswax*, kaolin clay, french red clay, 100% pure essential oils (bergamot, lavender), natural oxide colourants.